Introducing Public Health Is for Everyone, a one-stop living collection of resources and best practices on health and disability to ensure public health efforts reach people living with a disability. "Scheduling my mammogram was always stressful until someone finally asked me, 'What can we do to be sure your mammogram appointment goes well? Do you need any special assistance?' That opened the door to planning ahead for my appointment so that my needs were met. What a difference!" 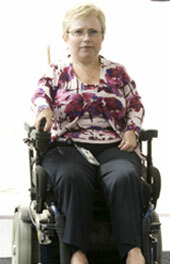 Smoking prevalence is 50% higher among people with disabilities than among their counterparts without disabilities. 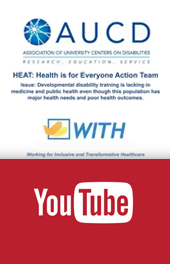 The California Department of Public Health (CDPH) and the California Smokers' Helpline (Helpline) began a collaboration to reach more people with disabilities who are not usually targeted in state health promotion efforts. So far, about 38% of people served by the Helpline have at least one disability. 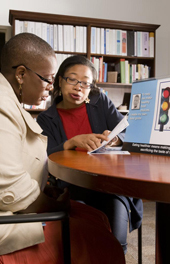 Michigan's Partnership for Health and Disability is working in collaboration with partners to integrate people with disabilities into evidence-based health promotion programs like Personal Action Toward Health. Public Health is for Everyone has been developed in collaboration with Centers for Disease Control and Prevention (CDC)'s National Center on Birth Defects and Developmental Disabilities (NCBDDD), Division of Human Development and Disability, Disability Policy Interventions and Planning (DPIP) Team and is supported as an activity within the Association of University Centers on Disabilities (AUCD)-NCBDDD/CDC Cooperative Agreement #DD07-003 Grant #231-5.